Areas of Expertise: Areas of Expertise: Multistate Payroll; Benefit Administration, Bilingual. Johanna has over 13 years of experience in HR and multi-state payroll for companies having upwards of 1,000 employees. Currently, Johanna is in charge of processing payroll for multiple clients in multiple states, updating employee information in payroll systems and running ad hoc reports at Compass Workforce Solutions. 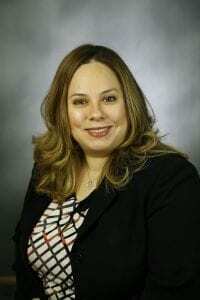 She has previously worked as payroll and human resources specialist for companies such as, Nikon, Inc., Space/Craft Worldwide, NBTY and Bank of New York. Johanna takes pride in providing client services, developing a rapport, and establishing a professional relationship with her clients. She believes this aspect of human resources is necessary for a healthy work environment both for employers and employees. In her free time, Johanna enjoys reading, baking, and traveling with her daughter. Her and her daughter have both helped and continue to help their community by donating clothing, toys and books to the local church, participating in food and toy drives, and volunteering at the local soup kitchens.